One thing to keep in mind when choosing a family photographer is the style that you wish to have. Many older, more monied couples prefer a clean, modern, well lit (flashed photo) where the skin tones and everyones faces look clean and crisp. This style is not for everyone but it does lend itself to beautiful, clean, colorful portraits that look great on your living room wall. 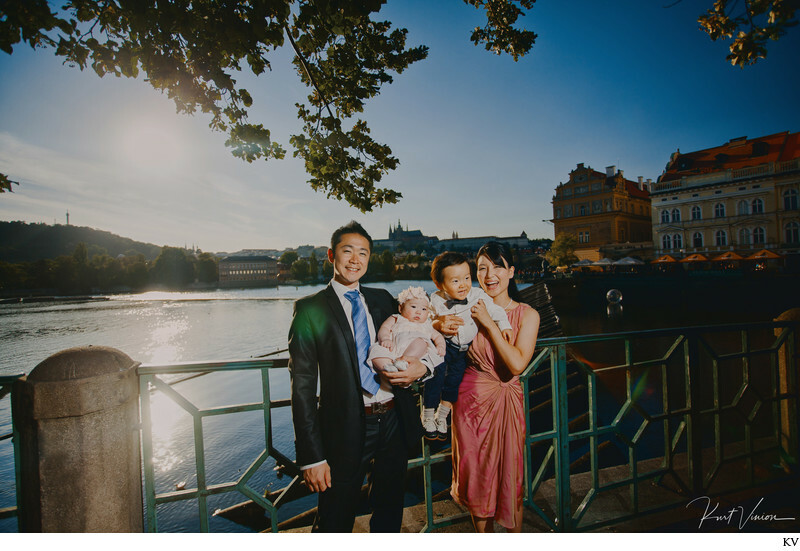 One such couple who traveled over from Asia was the Soo family who wanted this very clean style and so on a summer day with two small children we did just that -photographed near the riverside near sunset. Family photos in Prague by Kurt Vinion (USA) Photography.